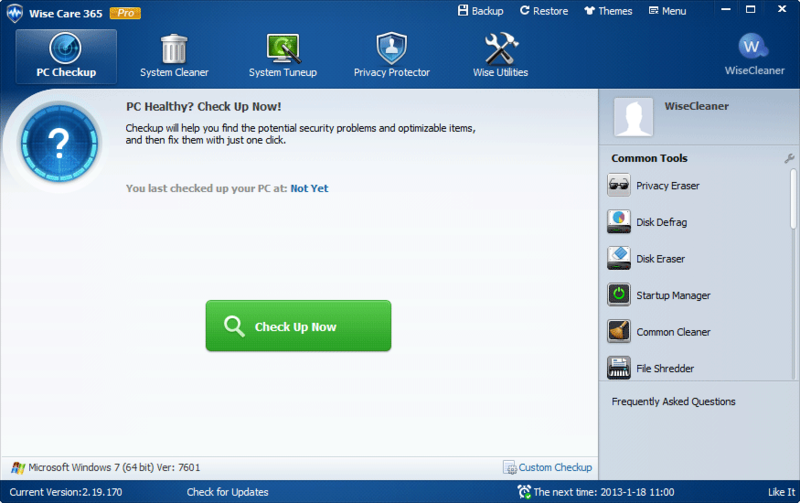 Wise Care 365 is an all-in-one PC tune-up utility, the bundle of important registry, disk, and other system tuneup utilities for your PC. The software includes the Wise Registry Cleaner and Wise Disk Cleaner with Disk Defrag. Wise Care 365 will keep your Windows secure, clean and fast. It makes it as easy as possible to keep your PC running at its optimum speed. System Tuneup speeds up system, defrags registry and disk, and manages startup and service. Privacy Protector erases browsing history, erases disk, shreds files forcibly, and shows the security degree of your password. Prying eyes have no ways to get close to you at all. Wise Utilities collects all Wise software in it. It provides an easy and convenient way for you to use Wise products (such as Wise Data Recovery, Wise Folder Hider, Wise JetSearch, Wise Auto Shutdown, ect.) and marks the software which needs to be updated with an up arrow and the software which needs to be downloaded with a down arrow in its upper right corner. 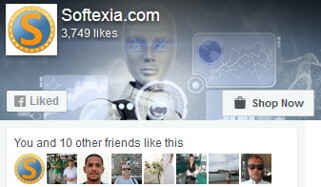 Supported Operating Systems: Windows XP, Vista, Windows 7, 8, 8.1, 10 and Server 2003, 2008, 2012 (32-bit, 64-bit). Wise Care 365 5.1.8 Build 509 Registry Cleaner still doesn't work, it's already third release and still doesn't work. They know but don't do nothing. How can trust such a thing? I tried and already never install, after the Windows 10 scan removed my sound card driver, blocked the input settings windows. Unrepeatable, the only option to reinstall windows. After experience, all PC cleaners will only malfunction or fail computer. Yeah! This version is working great and fixed all bugs for Advanced Cleaner as I complain to the developer. Now all clear and do its work well!!!! me useing PRO version only and able to use themes like charm,sunrise,giraffe,lotus..but when downloaded new theme from their site like toy,feather etc (in zip format) it asking password to open the file ! help-- i have downloaded some theme's frm their site http://www.wisecleaner.com/index.php?p=theme.. but how to install it..as it askeing for password ?